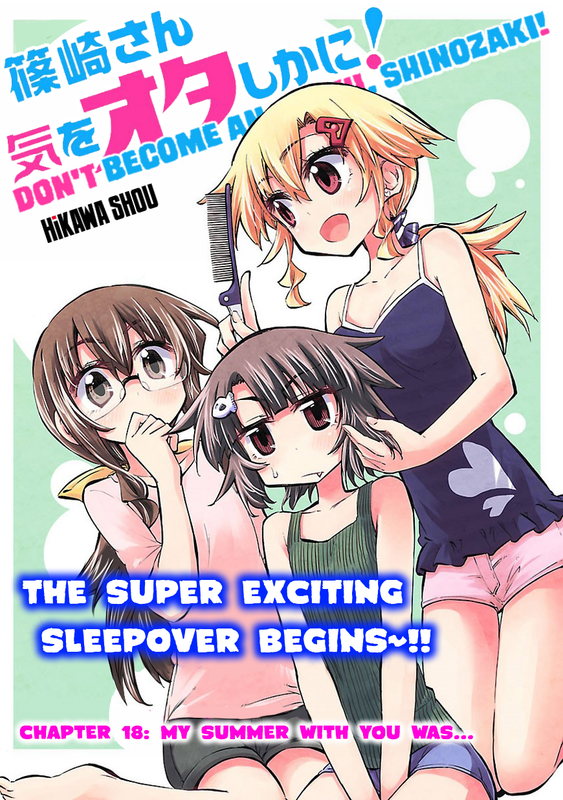 At long last, the sleepover chapter is released! And also I noticed I forgot to put up a link for Sekai Maou chapter 11, which I posted to batoto a few weeks ago, so here’s the DDL for that too. Volume 3 has just come out in Japan! I’m sure the author will appreciate it quite a lot if you buy a copy. If you live in America, and there’s a Kinokuniya location nearby, it’s only about $9. If not, don’t despair because Honto has some great shipping prices. For four manga-sized books, the shipping cost from Honto to the west coast of the United States is 980 yen, which is roughly $9.66 USD. The 3rd volume from Honto is only 616 Yen, which is about $6.08 USD. The entire three volume set is only 1,849 Yen. For fans who have trouble signing up for Honto, please take a look at this link HERE for a step by step guide on how to sign up and set up your shipping. Shinozaki p13, panel 1 bubble 1, it should be “a one-sided” instead of “an one-sided”. p18, panel 1 bubble 2, sounds kinda off, missing a “got”? pg 18, “We just out of the bath”, I think it should say, “We were just out of the bath”. Thanks for the continued effort!